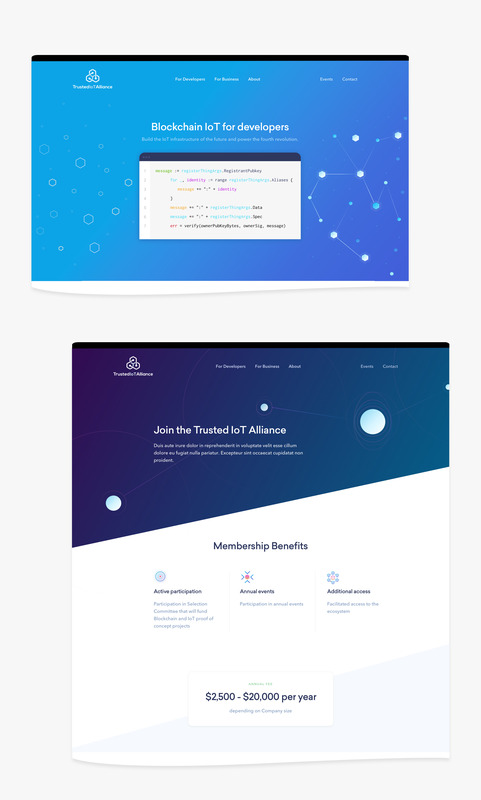 The Trusted IoT Alliance is a collaboration between tech giants and innovative blockchain companies working together towards the common goal of connecting and securing the next generation of smart IoT products for a more trusted, secure, and scalable internet of things. The Alliance came to us for assistance in developing an evolved visual and brand identity, a dynamic website, and custom illustrations. The goal was to create a story that both reflected the excitement of this groundbreaking technology but also would build trust within the Fortune 500 business community. A careful balance to strike. Our brand discovery work focused on defining the key characteristics of The IoT Alliance. What we found was a innovative identity that makes its home at the intersection of high energy music broadcast from the next century and the bleeding edge of blockchain’s transformative technology. 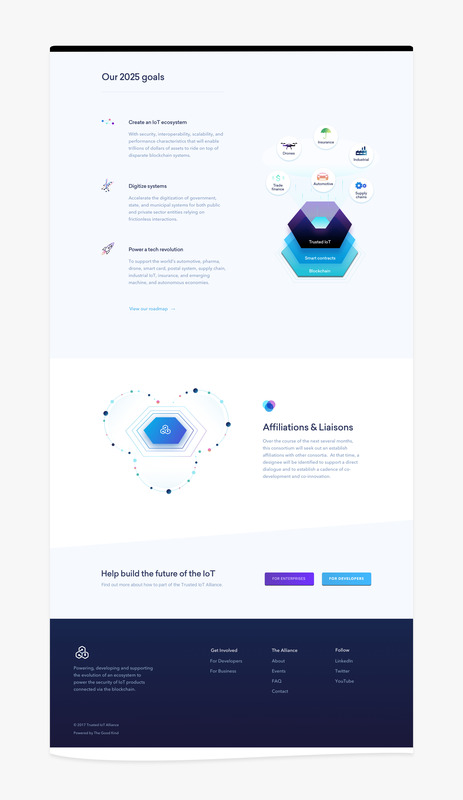 From there, we built a brand strategy and design language representing the trusting, secure, and interlocked network that is the basis for the Alliance’s advanced IoT framework. The Trusted IoT Alliance has been continually engaging new partners and participants. From the starting number of partners of about a dozen they have grown the alliance to over 50 different blockchain and IoT companies. 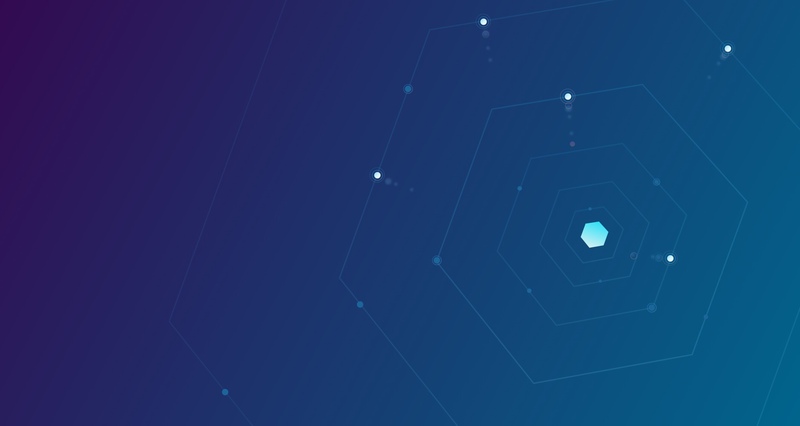 Our work continues to engage audiences, and support the belief that blockchain, open source software, and trusted collaboration will power the fourth revolution, leading the way for social change in all major sectors.